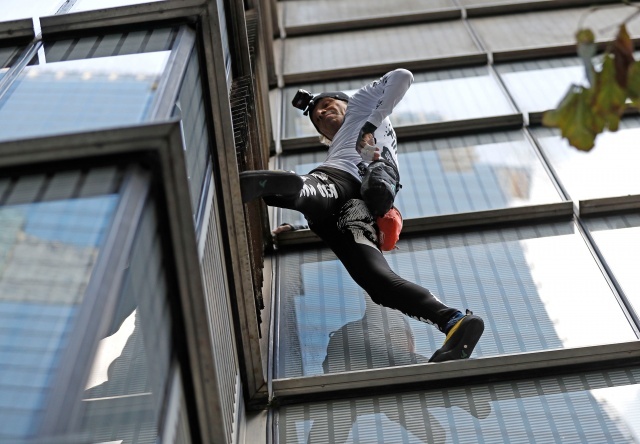 The 56-year-old took an hour to clamber up the 230 meter (755 ft) Heron Tower in the city’s financial district. Police kept crowds back as he worked his way up and used only chalk and muscle to get to the top. Police were waiting for Robert when he reached the top of Heron Tower. He was arrested for causing a public nuisance and is currently in custody, police said. “While the incident has caused immense disruption to everyday business in the City of London it also posed a significant level of risk to the safety of people in and around Heron Tower at the time,” Commander Karen Baxter from the City of London Police said. A hobby that started when he was 11 has taken Robert to more than 150 skyscrapers around the world, including Dubai’s Burj Khalifa, the world’s tallest building, the Eiffel Tower, and the Sydney Opera House. 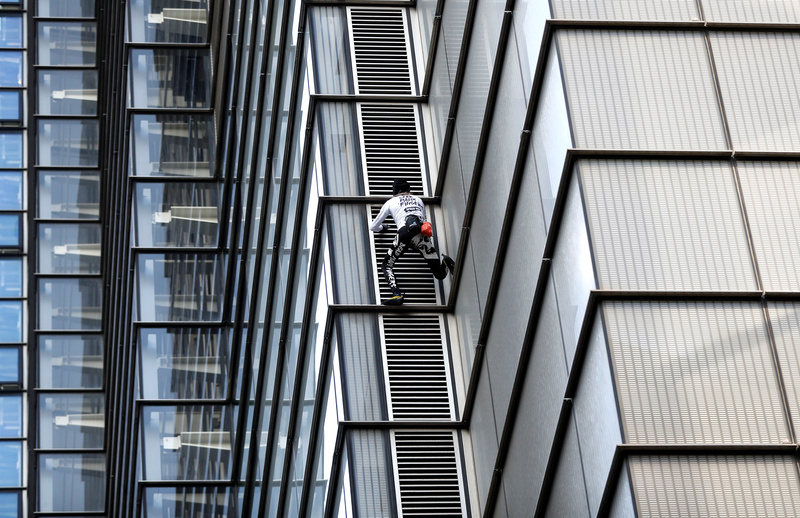 He often climbs without permission and has been arrested several times, sometimes for trespassing.